We’ve got some great shows coming up, and we’re constantly working on bringing more of your favorite performers to town. We’re also eager for the chance to introduce you to some of our new favorites. For the uninitiated, this is not your standard comedy club experience. 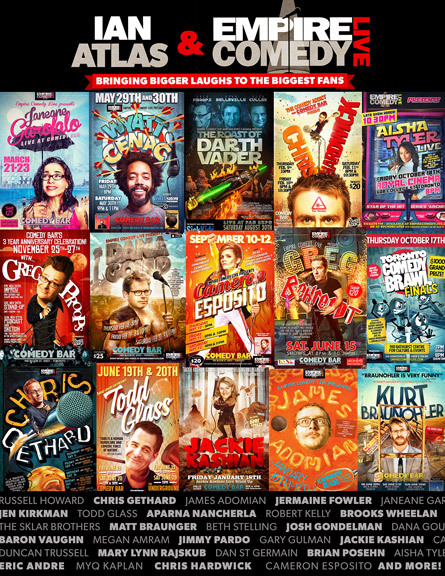 These shows are built for fans and lovers of great comedy, and if that interests you we hope you’ll join us sometime. We love these performers and have an absolute blast presenting them for our fans. If you have any questions, or requests, feel free to contact us via the feedback form below. We’re always happy to hear from you.